Suzanne Kingsbury is an award-winning, internationally noted author, whose work has been translated widely abroad and optioned for film. She is the recipient of a Fulbright Award, an Oxford Town Fiction Award and has been shortlisted for the Robert Olen Butler Award, the Fog City Writer’s Award and a Dana Award. In 2007, after graduating from the Bennington College Masters in Fine Arts program, Suzanne founded Gateless Writing, an internationally-acclaimed organization whose unique methodology combines brain science and therapeutic touch to draw out writers’ unique talent and singular genius, enabling them to move through residual blocks and create domain-changing prose. 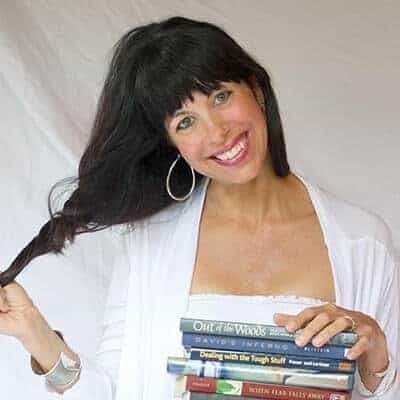 Through retreats, workshops, one-on-one intensives and career training programs, Suzanne has helped countless writers on their path to acquiring top agents, signing 6-figure book deals, hitting bestseller lists and wining prestigious literary awards. Her writers have been interviewed by the New York Times, The Wall Street Journal and major Hearst publications, they have seen themselves on CBS, NBC and ABC affiliates, and have appeared in Forbes, USA Today, and on the Jane Pauley show. As a writing intuit, Suzanne’s “channeling” and shamanic practices have created incredible shifts in her writers’ work and in their lives. Ultimately, she believes the urge to write is a dancing order from the divine; writers are “scribes”, and the messages they are called to write have extraordinary power to change the world.